It seems redundant to give advice about opening a bank account given how generally easy the process is, yet a lot of foreign residents really struggle with this, so for those who don’t speak much Spanish here is a quick guide to Spanish banking. First, like English speaking countries Spain also has two general types of bank, regular banks (banco) that offer full banking services, and savings banks (cajas or caixas) that these days offer the same services as most banks. 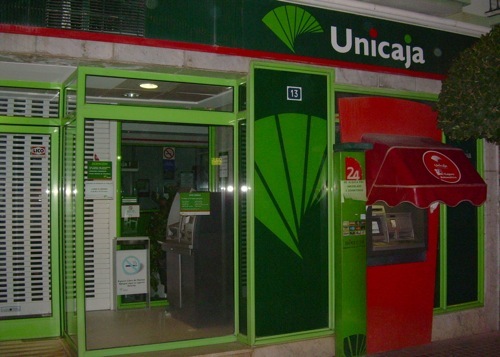 Unlike the UK, the distinction between a bank and building society has never really existed in Spain, the cajas started as non-profit savings banks, and could offer mortgages and finance, but so too could the banks. Historically the cajas have been more popular due to charging lower fees and tended to have more branches, especially in the smaller villages, whereas most banks restricted themselves to the towns and cities and also offered more in the way of business banking services. The cajas all have a social component to them and tend to sponsor cultural events and services for the elderly or infirm. As for which you choose to use for your own banking needs, you’ll find that all bancos and cajas will offer much the same services, couched in different marketing spin, and all offer banking for residents and non-residents alike. Most of the decision as to which to open an account with will come down to price and preference. The determining factor as to which the bank opens on your behalf is whether you have registered for a Número de Identidad de Extranjero (NIE number). If so, the bank is legally obliged to open a resident account for you, and will then withhold a portion of the interest earned to cover taxes. This type of account requires a passport and NIE certificate to be opened. If you are not a resident, ie you don’t have an NIE number, then you will be offered a non-resident account where interest earned is not withheld and fees are generally higher. This type of account only requires a valid passport or ID document from your country of origin. Every six months the banks and cajas are required by law to establish your residence status, a process that is done without input from you, but may cost you money anyway in fees. Opening an account of either type is a relatively painless process. You go to the bank of your choice, tell the teller you wish to open an account, give them your identity papers and usually proof of address, fill in some forms, make a token deposit, and a few days later return to collect your ATM card. It’s likely you’ll be given a bank book (libreta) when you open the account if these are still issued, most cajas seem to do this but some banks don’t. Depending on the account features, you may be issued a regular maestro card, or a Visa/Mastercard debit card which can be used as if it was a credit card, but without incurring debt since the funds will only be charged to the card if there is sufficient funds in your linked account. Credit cards need to be applied for separately, and different conditions apply for acceptance, for example having a job or owning your own business. The banking sector in Spain is quite modern, and all banks will have their own automatic teller machines, and most have Internet banking facilities. In the more progressive or tourist centres it is also common to find tellers and managers with good English or French/German language skills. In recent times the UK government has made it clear through legislation that non-residents will be quickly and efficiently brought back into tax residency status if they earn significant income in the UK, and whilst pension funds are not ordinarily included, the wide ranging ambit of HMRC cannot by assumed to ignore pensions in the future. Transferring UK-based pension funds to a qualifying recognised overseas pension schemes (QROPS) means funds can be managed offshore with a variety of instruments for example, art, jewelry, antiques, high risk markets, and more. For British citizens resident in Spain, earnings paid into a UK pension fund whilst working in the UK can now be repatriated offshore, just like other non-property investments, and the UK government through HMRC have legislated that QROPS are the only providers they will accept. Offshore funds that are popular with British citizens include the Isle of Man, Guernsey, New Zealand. 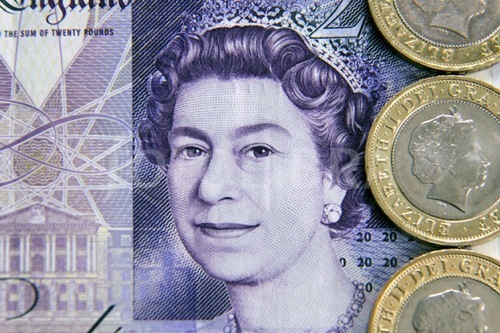 The advantages of a QROPS transfer are that invested funds once repatriated are then available to be reinvested in a much broader range of activities than is possible by leaving it in the UK, funds can be accessed (drawn down) at any time between 50 and 75, there is no requirement to purchase an annuity to avoid taxation, and perhaps most importantly, a QROPS managed fund does not attract UK inheritance tax and remaining funds can be willed to future generations. Repatriating a UK pension is an established procedure with regulations determined by HMRC, allowing a QROPS to accept and then manage the investment. After funds have been repatriated, it remains possible to transfer funds between QROPS companies. As soon as non-residency in the UK is declared, within which there is a requirement to state that the member intends to remain non-resident for the foreseeable future, all UK pension funds can be transferred to a QROPS, though there is a five year rule of behaving like a UK pension fund and reporting to HMRC that applies. The five year rule applies when the member of the fund has been resident in the UK for any period of time in the last five years. This means that UK pension funds can be transferred to an offshore QROPS at any time after non-residency is declared, but the full advantages won’t be evident until a period of five years non-residency has passed. After five years, the requirement to behave like a UK pension ceases, as does tax reporting to HMRC. Why Take Control of Pension Fund Now? UK pension funds are largely intended to be a secure form of investment to provide for people after retirement, however, mandated regulations prevent riskier investments (high interest investments) and generally don’t allow access to funds, as well, UK pensions cannot be willed to children. All remaining funds on death are transferred to HMRC consolidated fund. In addition, the UK government frequently reviews QROPS and adds or removes country schemes that do not meet their requirements. There is no guarantee that HMRC will allow QROPS in the future, so moving funds now is prudent. Pension funds paid into private sector schemes, company schemes, public sector schemes (including armed forces) are all eligible for repatriation to a QROPS, meaning that low interest schemes can be converted via QROPS to high interest investments giving a boost to member funds not currently possible if funds remain in the UK. A typical person from the UK who worked 20+ years may have accumulated combined funds in excess of £200,000 and this money could grow even further by reinvesting in a QROPS, but the most compelling reason for removing these funds from the UK is the possibility of accessing part of the fund for personal use, and ensuring that children or dependents inherit the funds. 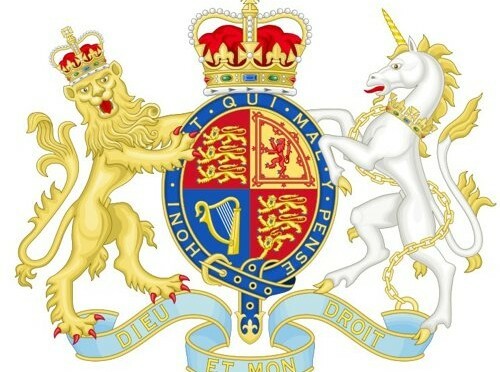 In June 2011 the UK government changed the law relating to tax residence to bring the UK into line with Ireland and other European countries as relating to income and capital gains tax. The law effectively means that tax residency will be assessed for as much as three years after leaving the UK, and earning a substantial income in the UK or visiting for extended periods of time will avoid losing tax resident status. This has tremendous implications for expatriate residents in Spain who may inadvertently fall foul of UK tax residence regulations due to owning income generating property in the UK, or who choose to spend several months in the UK to avoid weather. The new tax residence laws take effect from the 6th April 2012. The new regulations are intended to make it harder for UK residents to escape their tax obligations and also ensure that new UK residents are more easily brought into the UK tax system. On initial reading the act seems confusing, but in essence the following guidelines apply and need to be born in mind by expatriate residents. a) You were not resident in the UK in all of the previous three tax years, and were present in the UK for less than 45 days in the current tax year. b) You were resident in the UK in one or more of the previous three tax years, and were present in the UK for fewer than 10 days in the current tax year. c) Or left the UK to carry out full-time work abroad provided they that you were present in the UK for less than 90 days in the tax year, and no more than 20 days are spent working in the UK in the tax year. a) You were present in the UK for 183 days or more in a tax year. b) You have one or more homes only in the UK. c) You carry out full-time work in the UK. This section states that the number of days spent in the UK, together with the connections one has established with the UK, make an impact on whether you qualify as a non-UK resident and thus outside the current UK taxation bracket. More time in the UK than other countries: whether the individual has spent more time in the UK during the tax year under review than any other single country. EU citizens, in particular British, make up a substantial number of property owners along the coastal areas of Spain, and in the Serranía de Ronda there are officially 4,200 expatriate residents, though estimates suggest as many as three times that number are only resident for some months of the year, or have never registered with their town halls, yet own property. The need for knowledge about wills and inheritance issues is therefore high, but not easily available. Ronda Today always advices seeking professional legal advice, however the following information should act as a starting point. Owning property is for more people a significant investment, and in the event of death, can become a nightmare for beneficiaries to manage, even more so if your next of kin don’t regularly visit Spain and speak the language. You may have a will in your home nation, and it can be utilised in Spain, but in practical terms it could take months or even years before your last wishes are carried out. By contrast, arranging with a local English speaking lawyer (abogado) to prepare and execute a Spanish will is in most cases affordable, and generally doesn’t cause problems settling estates like a foreign will can. 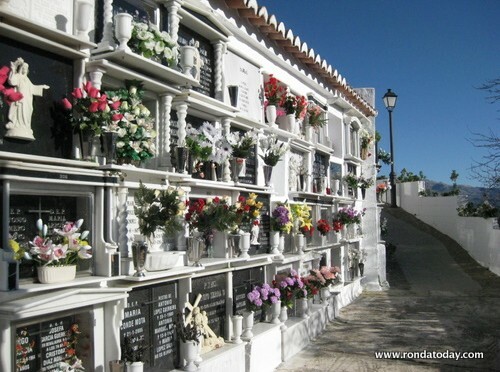 In Ronda there are several lawyers who can help with experience of dealing with foreign resident property. Of course, having a Spanish will doesn’t negate the need for wills in other jurisdictions, in fact you should probably have a will in each country where you have property, and stipulate in the will that another will also exists, though unless your property holdings are particularly complex there really isn’t any need for this either. Once your Spanish will has been drafted you’ll need to sign it in the presence of a notary. Your will must be written in Spanish, though it can be prepared in both languages to make it easy for non-Spanish speakers to understand its contents. If the maker of the will (testator) doesn’t speak Spanish, then an officially recognised translator must be present when the will is signed, after which the notary will send a copy to the central wills registry in Madrid. Spanish wills don’t require the naming of executors, thus it isn’t necessary to appoint an executor, but you can if you wish name one or several ‘Albaceas’, think of them as trustees is you like, whose permission must be sought before property mentioned in the will can be disposed of. Interestingly, unlike executors or trustees, an Albacea does not legally own the property, and in most instances the partners of your law firm will be entrusted with this role. Be particularly careful that your Spanish will doesn’t accidentally supercede your home country will, this is easily done since usually the latest will signed is accepted throughout Europe as your most current, so it is important to select a lawyer with experience of preparing wills for foreigners. Ensure that a properly worded jurisdiction clause is included in all of your current wills to avoid this eventuality. Inheritance tax is very confusing, and seems to defy normal explanation, and can change from time to time, so please understand that consulting a lawyer should be mandatory if you plan to structure you will so that beneficiaries pay the minimum amount of tax after your death. The first point to note is that inheritance tax is not charged to your estate, it is actually payable by your beneficiaries, so the amount that each person pays is not fixed, it depends on their circumstances, whether they are a resident in Spain, and their relationship to the deceased. What this means is that each beneficiary will be eligible for tax free allowances and thresholds at different rates, so whilst your will may seem fairly straightforward to you, be aware that after your passing, your loved ones may inherit a tax nightmare. Furthermore, inheritance tax is charged on a sliding scale starting from 7.65% (for the first 7,993.46€) to 34% (over 797,555.08€), with parents, partners and children receiving the highest tax free allowance of 16,000€, whilst grandparents and grandchildren receive 8,000€ allowance. Beneficiaries not related to the deceased pay more, and if they have pre-existing assets over 402,678.11€ the percentage of inheritance tax attracts a higher percentage, rising to a top rate of 81.6%. This is part of the reason Spanish families split property amongst everyone on the family, it reduces the tax payable by each person, in some cases to almost nothing, and since Spanish families have a tradition of sharing property with each other there is usually no problem. Foreign residents often don’t have this advantage, so consulting a well regarded lawyer is essential to minimise the tax burden you leave behind. Of course this doesn’t mean you need to make arrangements to sell your Spanish property before your passing, but it does mean you need to be aware of how much each of your beneficiaries is likely to pay in tax. Living in Spain means having to use the Euro as our currency of daily life, compounded when large purchases are made from houses or cars, to renovations, installing heating or cooling systems, medical treatment, paying for satellite TV installation, and a lot of other expenses that may be specific to your lifestyle. Traditionally we use high street banks, without realising they don’t always offer the best rate of exchange. Furthermore, in this difficult times like we’ve experienced in 2009 and going forward into most of 2010, losing money on currency exchange is easy to do. Did you know that most high street banks, building societies, and Spanish cajas offer the tourist rate of exchange when you send pounds from the UK to Spain, or in reverse, send Euros to the UK. The commercial rate of exchange, which is what the banks pay is never the rate you pay, and there can be a significant difference between the two. A specialist foreign exchange company is more likely to offer the commercial rate than the tourist rate. This could mean a two to three point difference on the rate you’re offered. Here’s an example. Right now (December 2009) the Euro is strong, and is hovering around 1.09€-1.11€ to the pound. Now let’s assume the bank rate you’re offered is 1.08€ to the pound. A foreign exchange company might offer you 1.11€ to the pound, I’m sure you’ll agree this is a significant difference, but in practical terms it means that transferring £100,000 to Spain will see a foreign exchange company give you an extra 3,000€. Considering how often many of us transfer funds from the UK to Spain on a monthly or regular interval, even with smaller amounts we see a significant saving, and with the rate of exchange being so weak every little bit we keep in our pockets is better than just giving it away to banks when we don’t need to. One of the most compelling reasons to use a foreign exchange company though are because they often waive transfer fees that you might pay £25 to £40 per transaction to a bank. Transferring £500 for monthly living expenses and paying a £25 transaction fee amounts to losing 5%, notwithstanding being offered the tourist rate of exchange. Spanish banks are not immune from taking a small percentage as well, we’ve heard reports of Spanish banks charging fees that can be as much as 1% simply to receive the funds. Admittedly the fee a Spanish bank charges might be a fixed amount that on larger transfers can be ignored, but on smaller monthly payments adds up. Some UK foreign exchange companies operating in Spain have agreements with Spanish banks to waive receiving fees. So, if a specialist foreign exchange company offers a rate 3 points more favourable than a high street bank, and waives transfer fees, and is able to deposit your money into a Spanish bank without additional fees, then on smaller amounts you could be looking at savings of 4-8%, and that adds up month by month. Larger transfers initiated through a bank also require registration for each transaction, to comply with UK and EU anti-money laundering legislation. Whilst there is no fee for this it does add to the hassle of currency exchange and means you need to supply personal details everytime. In contrast a foreign exchange company operating in Spain will assign an account manager who is able to process your transactions with information kept on file. The rate of exchange fluctuates so much it can be disheartening to watch it from day to day, seemingly never improving, or only briefly when it does. Of course the problem is that when we need to transfer funds, Murphy’s law invariably comes into play and we are rarely able to capitalise on better rates. 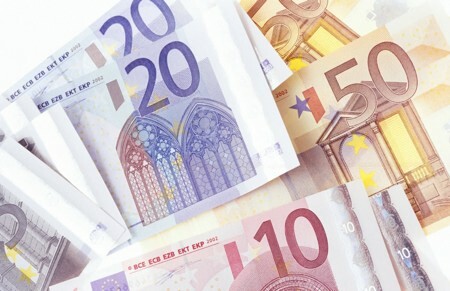 See our feature on currency exchange in Spain. For me this is probably the strongest reason yet for keeping an account with a foreign exchange company. Your high street bank will never let you plan in advance, they don’t offer spot transactions, forward transactions, limit orders, and they certainly don’t offer rate watch services. Buy Now, Pay Now: Probably one of the most frustrating aspects of moving currency from the UK to Spain, or vice versa, is the knowledge that banks offer a day rate, but you and I know the rate fluctuates during the day, and sometimes quite favourably, but the only people who seem to benefit are forex speculators. How often do we see financial news bulletins on Sky mention the pound rallied in the middle of the day, only to settle at days end? Spot transactions with a foreign exchange company eliminate this regret by allowing you to call your account manager and settle a transaction right now while the rate is favourable. Buy Now, Pay Later: Consider securing a favourable rate as much as 12 months in advance by making a small deposit to a currency exchange company. You protect yourself against too much movement in the market because the trader agrees to fix the rate you negotiate. Currency exchange companies love this type of transaction, they’re able to plan further ahead themselves, which makes them more profitable, and we benefit from a known fixed rate of exchange if a major transaction is anticipated. Why not place an order for a particular rate of exchange that isn’t conducted until the exchange rate reaches the level you’ve specified. You are protected from negative movement because your transaction isn’t processed until the rate is reached. Here’s how it works, your currency exchange account manager enters the rate you want into their computer system, and your transaction is kept on hold until your rate is reached, then the transaction is processed automatically. Most currency exchange companies are happy to deal with large and small transactions, there is no reason not to contact them even if the amount seems ridiculously small. Here in the Serranía we know of several retired couples who bought their Spanish homes with cash, and are quite capable of living on just 250€ per month which includes groceries, power, phone, and occasional tapas. Even so, currency exchange companies are the better option over a high street bank. Remembering that most banks charge a transfer fee, smaller amounts are even more reason to talk to a currency specialist.